The Hida family are the leaders of the Crab. Their family motto is; "I will not fail". No other family holds their duty in such high regard as the Hida. It is the largest family in the Crab, and dominate the political life of the clan. They plan military tactics, lead the armies and co-ordinate the defenses of the clan. They are descended from the Kami Hida, known for his sheer strength. Hida's children often have that in common with the Kami, and they are known throughout the empire as some of the fiercest fighters in Rokugan, if not the most cultured. The Hida are well known for a very colorful language, with many threats, insults, curses and expressions. They are known to be impulsive, brutish, hot-headed and do not take insults lightly. They do not care what other people might think, their obligations to the emperor require a certain mindset, the rougher aspects of the Crab. Denying these aspects would be to deny them of their greatest strength. Until someone steps up to shoulder their burden, the Hida will act as they see fit. Hida are known to thrive on the pressures of battle and take joy in combat as no others do. 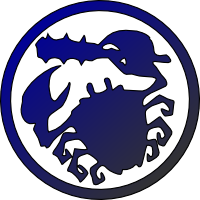 Since the founding of the Crab Clan the daimyo of the Hida family has been the Crab Clan Champion. The other families of the Crab Clan have never questioned the Hida family's right to rule. They provide support for the Hida, doing their duties as they are told, and in return they are given more autonomy to pursue their respective interests. This does not mean that the Hida will not listen to their fellow Crab. If a matter of magic is being discussed then the Kuni daimyo will have the full attention of the Hida, but as soon as the matter has been decided there is no room for discussion. The children of the Hida family understand the great burden that will be placed on their shoulders, and spend all their youth and most of their grown lives learning how to endure it. From the day they can talk they are taught what is expected from them, and trained to make command decisions at the same time they are taught the rudiments such as reading and writing. Even childhood games have elements of this preparations, playing games such as "Find the Oni" and "Strongwall"
The Hida family mon is a crab holding a tetsubo, signifying the strength of the family as well as their duties as sentinels for the Emperor.